Discover the challenges, excitement and rewards of law enforcement today with AN INTRODUCTION TO POLICING, 8th Edition. 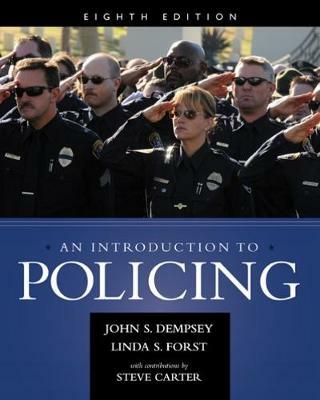 Written by law enforcement veterans with extensive experience in all areas of policing, this engaging, comprehensive book blends practical information with pertinent theory. The authors examine today's most current issues, policing techniques and industry trends, including homeland security, recent terrorism incidents, the controversial Secure Communities Program by DHS, Specialized Policing Responses to individuals with mental illness, advances in policing technology, and more. Readers find the latest practitioner research as well as the most current applications, statistics, court cases and information on law enforcement careers. The book presents extensive examples from small and large police departments throughout the world as well as essays from respected law enforcement practitioners who delve into crucial policing issues and challenges. AN INTRODUCTION TO POLICING, 8th Edition, is an essential read for anyone considering a career in law enforcement today.